Looking for a dream team that lets you gain a competitive edge in the market? 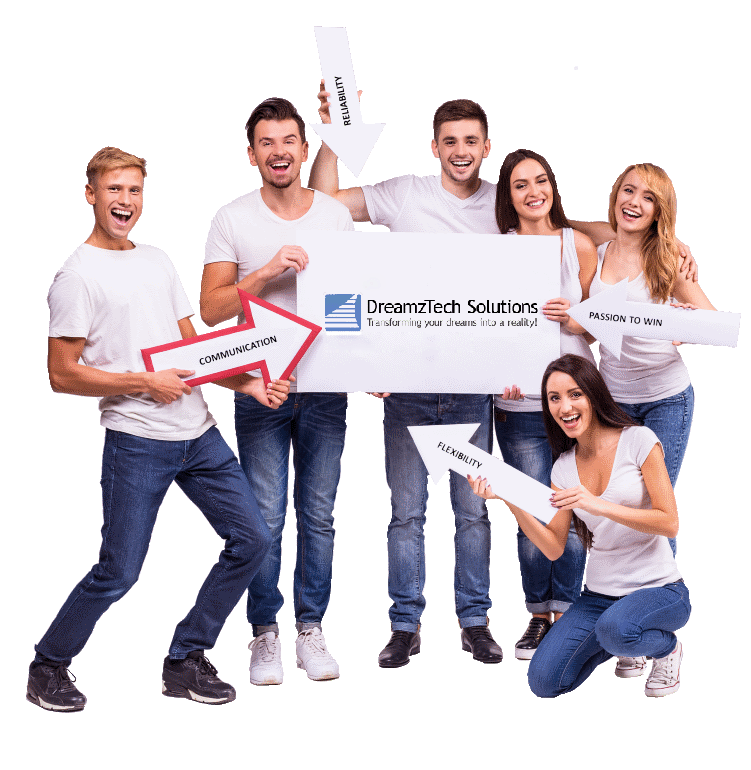 Dreamztech ensures you reach the pinnacle of success by bringing together a perfect team of software engineers, Scrum Masters, and QA specialists that fit your business needs. Dreamztech allows you to extend your IT team in a distributed development environment. This exclusive team will help you increase output while ensuring a reduction in costs. Are you having a hard time hiring, selecting, and securing dedicated, excellent, and cost-effective IT professionals in your home location? It is time to check our pool of talent. With Dreamztech you get to develop new products as well as new features without having to defocus the core team. Dreamztech makes things easy for you. We facilitate delivery of innovative products each year in the most cost-effective manner. Dreamztech ensures that you meet all your goals that require fast scaling. Are you not looking for long hiring processes? Dreamztech offers great hiring and engagement plans that makes hiring a selective process. A 30+ person development team with Dreamztech covering the hiring, office space and payroll. Evolved from a small team in the US that handled low risk projects, to key cross-country platforms run from UK & India. An Extra level of security maintained with the Extended Team framework instead of a traditional project outsourcing. We can offer you a quote for a team based on your requirements and you can pick your future team member from our onshore, nearshore, and offshore candidates. The Extended team works on your projects, while you increase your output and cut your costs. You retain total team control and can take advantage of the scalability and reduced administration.